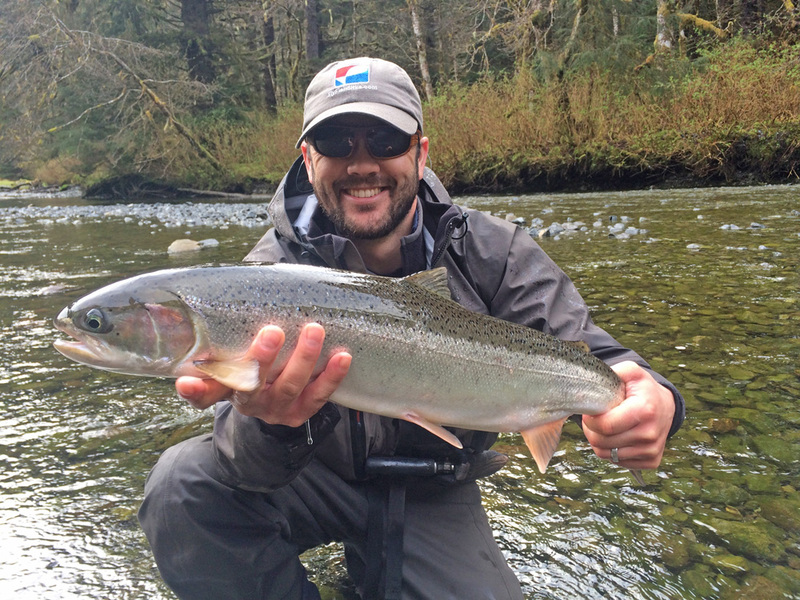 Meet your guide, Tad Kisaka, Sitka’s longest running freshwater guide. He’s been fishing since snoopy poles towered over him. Tad first fell in love with fishing while in the Boy Scouts. Becoming an Eagle Scout taught him valuable life and survival skills. Tad has fished all over the country and even tested the waters abroad. He was introduced to fly fishing while attending the University of Idaho on an Udall Scholarship. It was on Idaho waters that he became addicted to catching fish on the fly. During his college years he also studied overseas in Australia. Traveling around Australia with a backpack and fly rod in tow, he thought the most amazing thing was never knowing what was going to be tugging on the end of his line. Returning home, he stopped off in New Zealand and fished for steelhead on the Tongariro River. Along with receiving his degree from one of the top 10 Natural Resource schools, Tad also earned the Outstanding Senior Award in Fishery Resources and The Outstanding Senior in the College Award. After receiving his degree in Fishery Resources, he traveled around the Northwest, hitting some legendary rivers and lakes. It was then that he landed a biologist position in Vancouver, Washington and learned to fish the Columbia River for spring Chinook salmon, shad, and sturgeon.